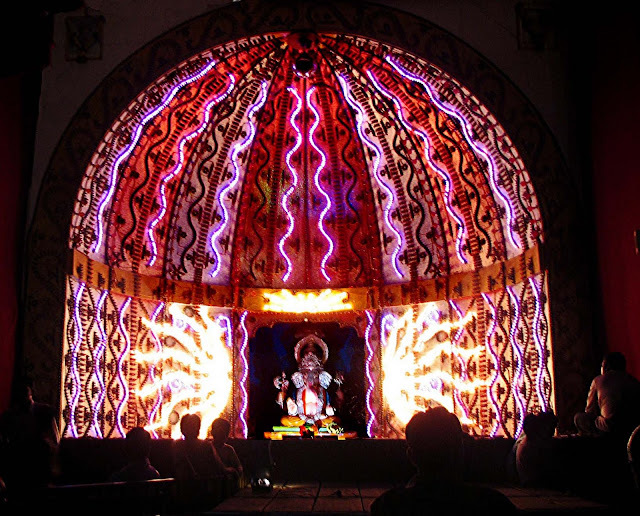 The pandals are decorated with a mandap or canopy and decorated by fancy psychedelic electric lights at night. 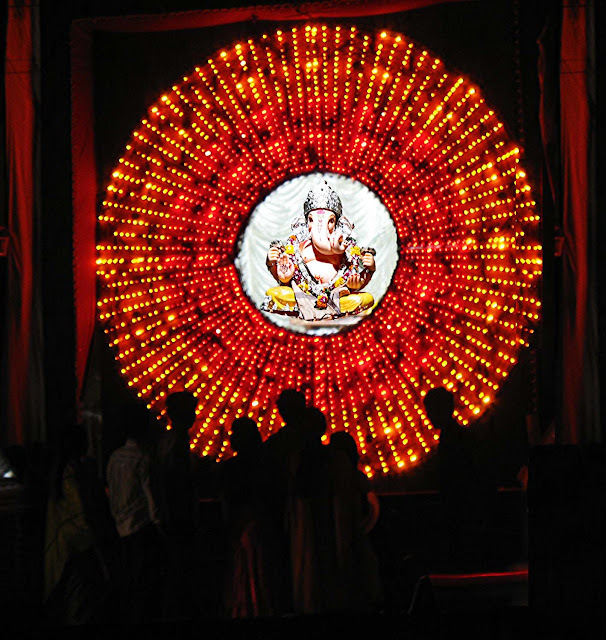 People go from pandal to pandal, looking at the pretty decorated Ganesh idols. 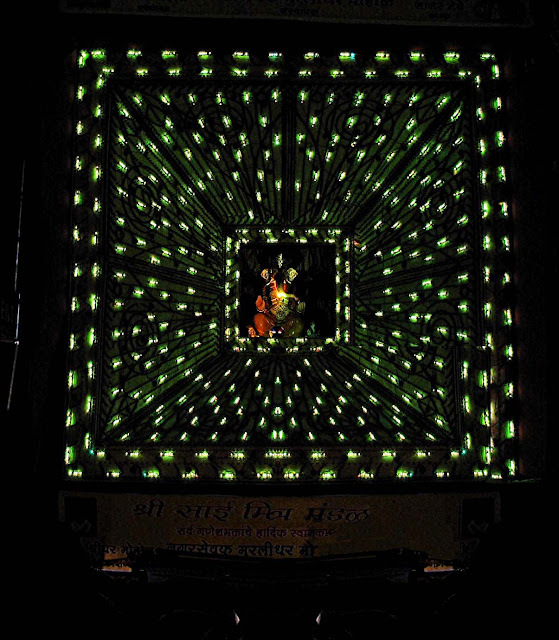 Whole cities are lighted up, particularly Pune. 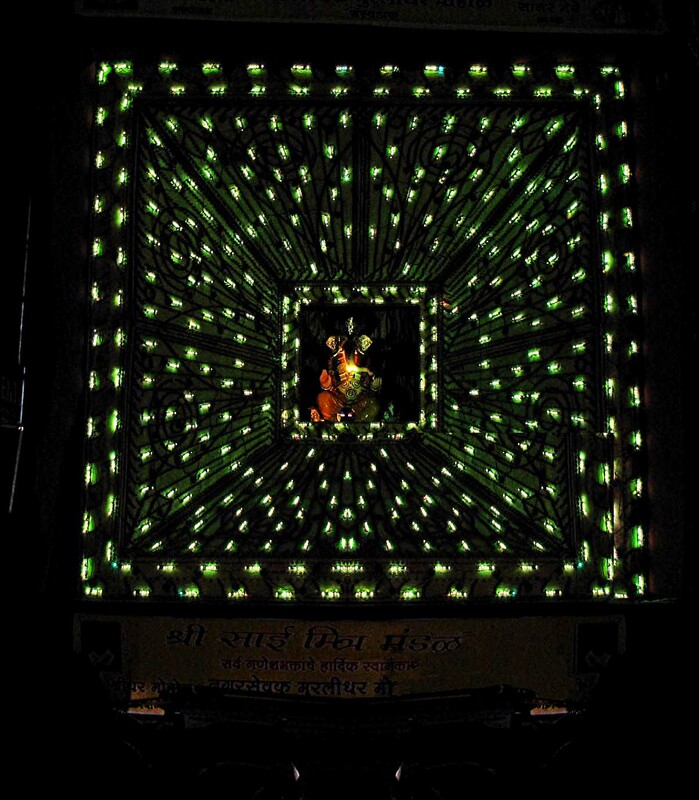 All these pictures are taken in Pune. While these decorations are pretty and entertaining, one wonders how much money is spent at these pandals. People in surrounding areas donate the money, either willingly or unwillingly. At this pandal the ganesh idol on the stage is bathed in red light. This light changes colour every half a minute, bathing the idol in colours like yellow, blue and red. A man and his small son look on fascinated. This is great entertainment for the man on the street! 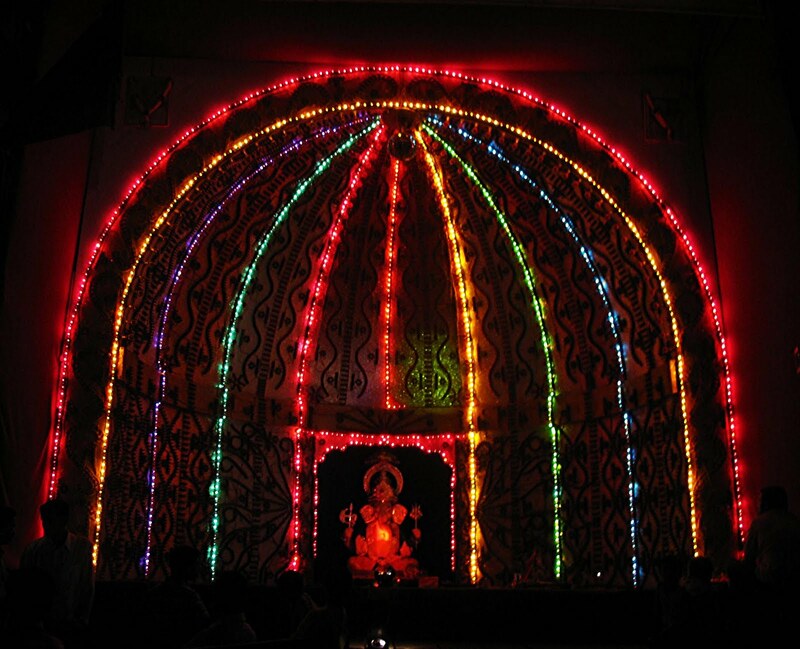 Not just people on the street, the middle classes also love the lighted up Ganpatis! 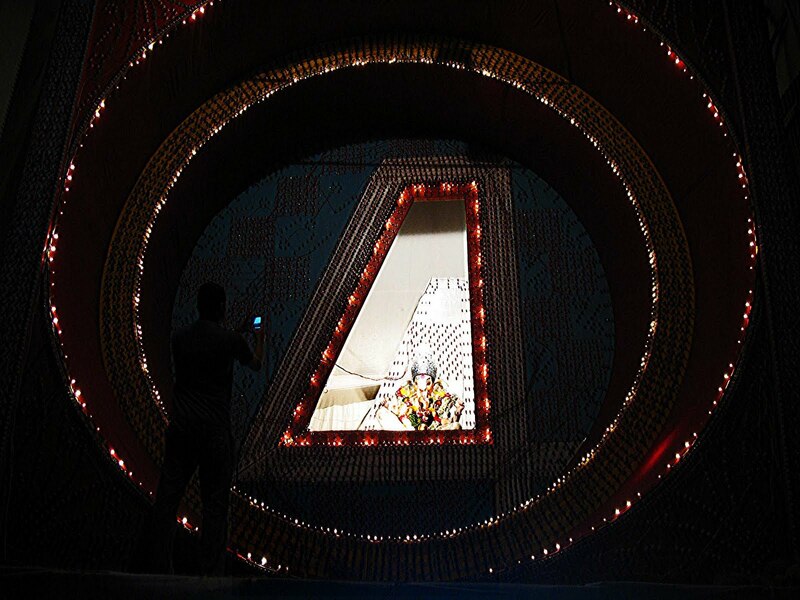 In this picture, a man is taking a photo of the Ganesh idol at the lighted up pandal. These colours keep changing. These electric lights keep changing colour and design. The same Ganpati as above, but this time the lights have changed to yellow and orange and the pattern is different. 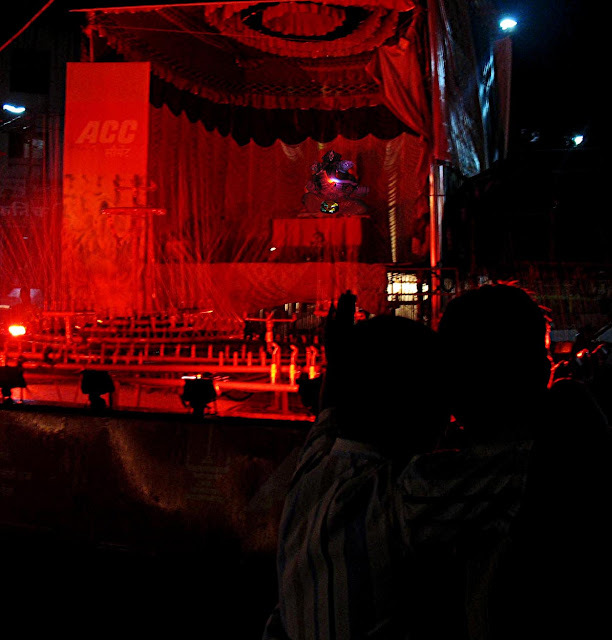 People have gathered around, hypnotized by the changing and moving electric lights. 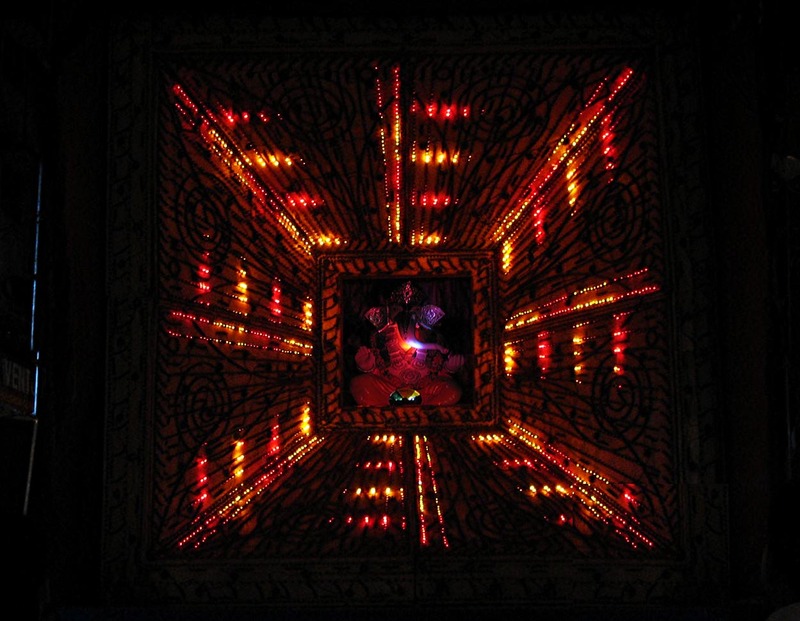 The next two pictures are of the same Ganesh Pandal, the psychedelic lights changing their hue and pattern every second. 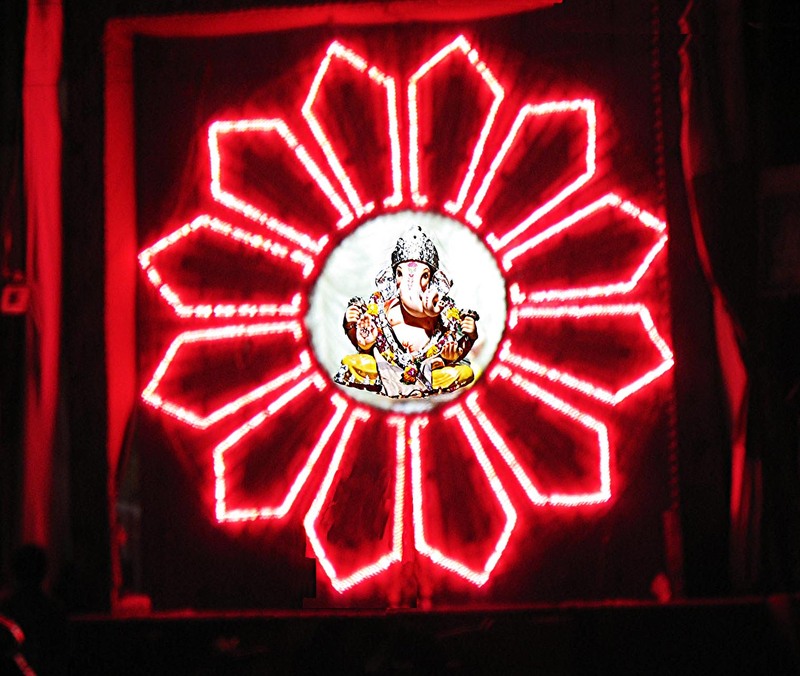 People also worship the Ganesh. People stand around for a long time, watching these sights. 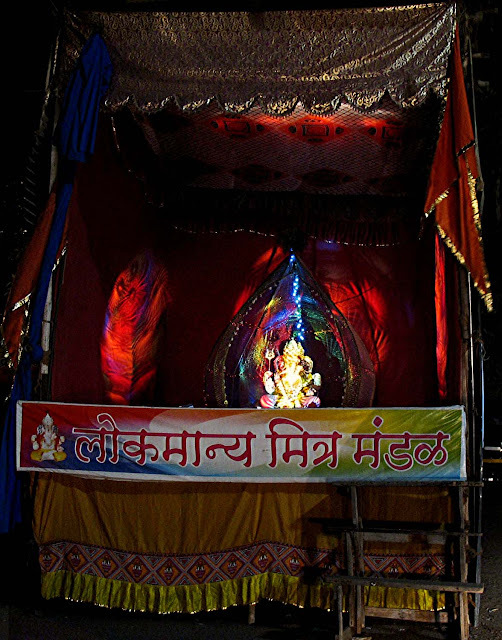 The next two images are of the same ganesh pandal. The lights keep moving and changing their colours. A comparatively simpler Ganpati pandal, with psychedelic lights.